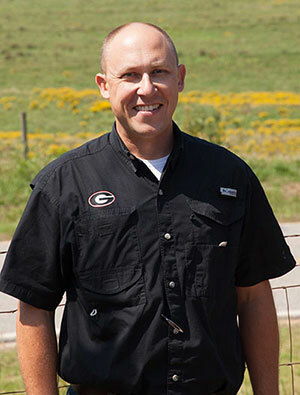 Making his comments at Georgia’s Advanced Grazing School, Stewart is a big believer in developing a nutritional strategy that will maximize reproductive efficiency in the cow herd. Sometimes pasture forage is limited by weather, other times it’s management. Stewart sees both situations. “When the manure pats in the pasture are stacked up higher than the grass, you’ve got a forage quality and quantity problem,” Stewart quipped. “It’s difficult to change cattle overnight. It’s like turning a big ship. They’re not like poultry with a short generation interval. Once you get into a bad situation, it takes awhile to get out of it,” he added. Stewart stressed the important relationship between nutrition, forage availability, and reproductive efficiency. “When we think about cattle, the number one thing we sell is pounds of beef,” Stewart said. “We need a calf on the ground every 365 days; it’s the most important thing affecting profitability. For that to occur, the cow is highly dependent on proper nutrition, and that’s where our forage system comes into play,” he explained. Stewart explained that for a cow with calf, peak lactation comes at about 50 to 60 days postcalving. It’s also when nutritional needs are at their peak with a 1,200-pound cow requiring about 12 percent crude protein and 60 percent total digestible nutrients (TDN). Shortly after peak lactation, at about 80 days postcalving, cows are ready to breed. At that point, there’s a lot going on in the cow’s life. “This is why a controlled breeding program is so important,” Stewart emphasized. “We need to have our best forage available during those first several months following calving. That’s virtually impossible to accomplish without a relatively tight calving window in the spring or fall. “Cattle performance will only take you as far as the most limiting component of your nutrition program,” Stewart said. “The cheapest investment you can make in a cattle nutritional program is testing for quality. It’s true whether you’re haying or grazing,” he added. To evaluate how your nutrition program is performing, Stewart highly recommends a planned and purposeful attempt to body condition score (BCS) cows. A BCS is a based on a scale of 1 (thin) to 9 (fat). Though it is desirable to have cattle that are somewhere in the middle of the scale, Stewart cited research that documents a large advantage for pregnancy rates in cattle with a BCS of 5 compared to 4. 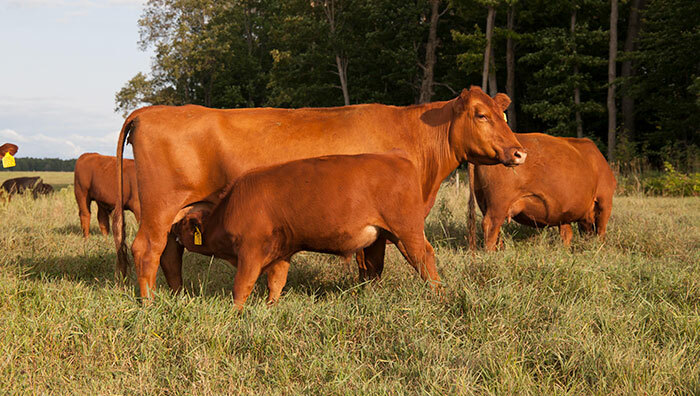 The 5-scored cattle had a pregnancy rate of near 90 percent compared to 60 percent for those with a BCS of 4. Pregnancy rates dropped dramatically for cows scoring 3 or below. “What this tells us is that somewhere between a score of 4 and 5 we are meeting all of the nutritional requirements of those cows, and we’re getting them to cycle when we want them to,” Stewart assessed. Referring to the current early fall situation, Stewart noted that a lot of spring-born calves are now being weaned and the cow’s nutritional requirements are beginning to moderate. “This is when adding condition to cows becomes a high priority to get them ready for their next calving, lactation, and breeding cycle,” he said. Dennis Hancock, University of Georgia Extension forage specialist, noted that for many producers the challenge of adding condition at this time of year is not so much forage quality as it is quantity. This emphasizes the need for a year-round nutritional and forage plan, not just one that centers on the cow’s lactation period.